There's never a bad time to eat pizza. It's about as cheap as it is delicious, and with the number of times you've eaten it, it pretty much tastes, and at the very least smells, like home. But there are better times than others to eat it, like when it's half off. Like right now. 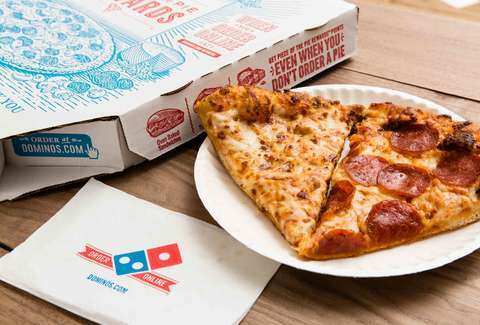 In honor of March Madness, Domino's is offering half off all its pizzas through March 24. Note that this deal only applies to "menu-priced pizzas" that are ordered through Domino's website or its app (or those other ways you don't use to order, like Facebook Messenger?). The discount is available nationwide, and ordering online means you won't even have to mute the TV. And, no, you don't have to know what March Madness is to take advantage of the deal.